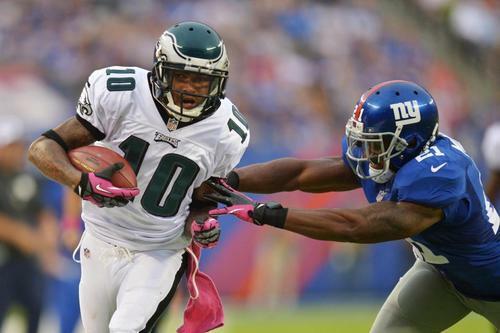 Since becoming a member of the Philadelphia Eagles, WR DeSean Jackson has started 86 of 87 games in six seasons. At 27, he’s a three-time pro bowler. Just last season he matched a career high with nine touchdowns, and set a career high 1,332 yards on a career high 126 targets. He was set to make $10.5 million in 2014. The Eagles wanted him to restructure his deal. He preferred not to. Jackson’s release came curiously close to a report exploring his ties to a Los Angeles street gang published in NJ.com. Is Jackson, 27, a member of the notorious Crips? This is a great write up about the whole DeSean Jackson situation.